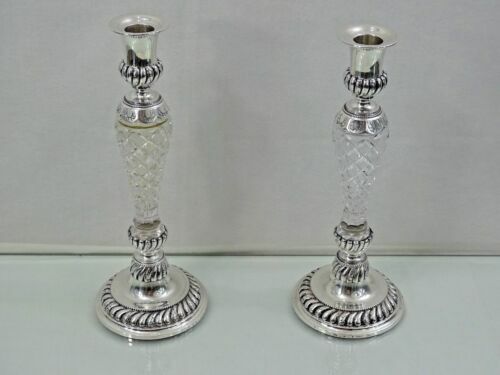 $317.0 (12 bids) PAIR LARGE SPECTACULAR STERLING SILVER 925 CANDELABRA & CANDLESTICKS 5 LIGHT. 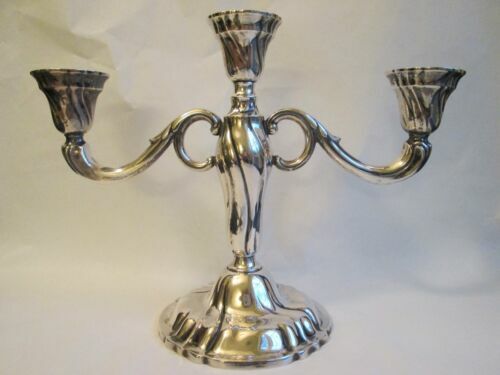 $1795.0 Large 5 light Candelabra, Sterling Silver, Beautiful Antique Piece, 19"
$200.0 Silver Candelabra, 3 Light Plain 14 in. 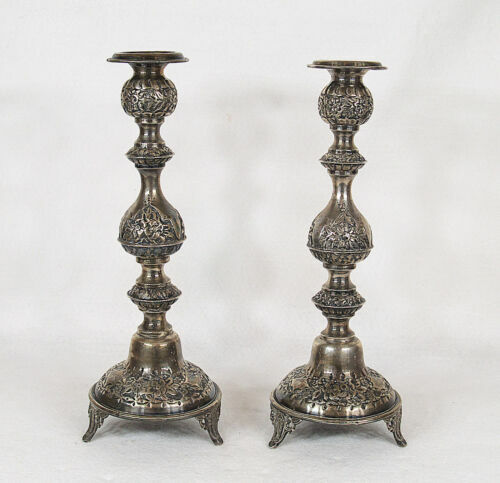 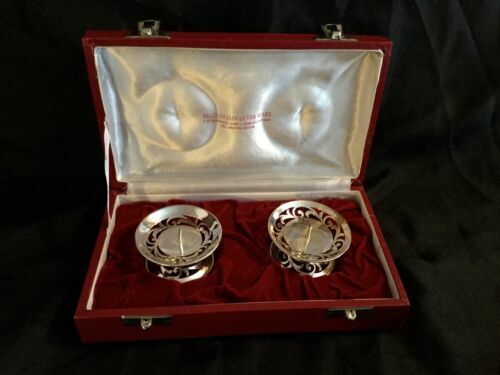 $99.0 PAIR SILVER CANDLESTICKS FROM 1950S.MADE BY BELIRAM JAIN SILVER CO. INDIA. 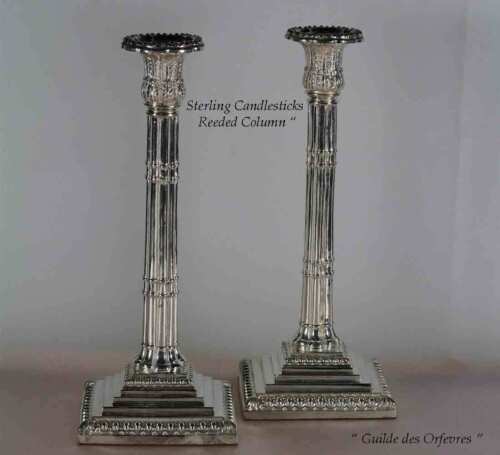 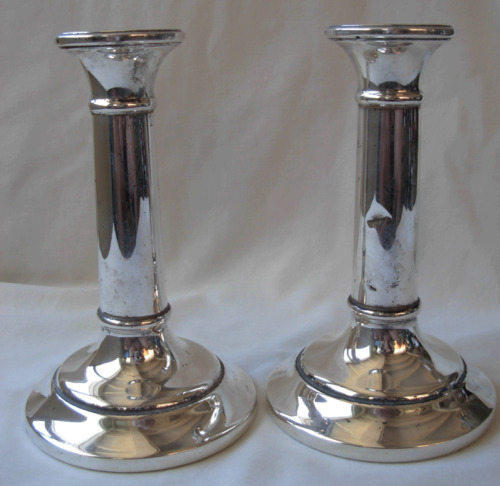 $19500.0 A good set of 4 cast sterling silver candlesticks, Ebenezer Coker, London 1762. 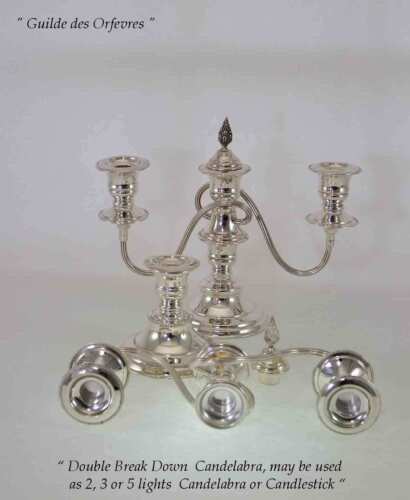 $18000.0 A magnificent silver Greek Revival 3-piece centerpiece suite, Hanau, Germany. 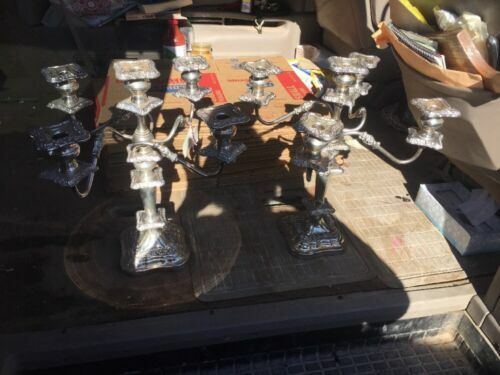 $5995.0 Antique Ornate Portuguese 835 Silver 8 arm Candelabra 25"
$2995.0 Austrian Silver 5 Light Candelabra with Dolphins - ca. 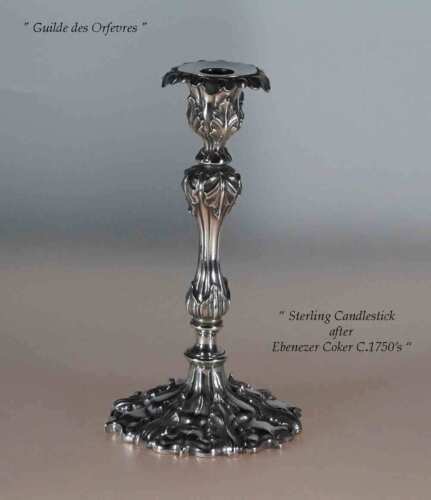 1814 - Beautiful! 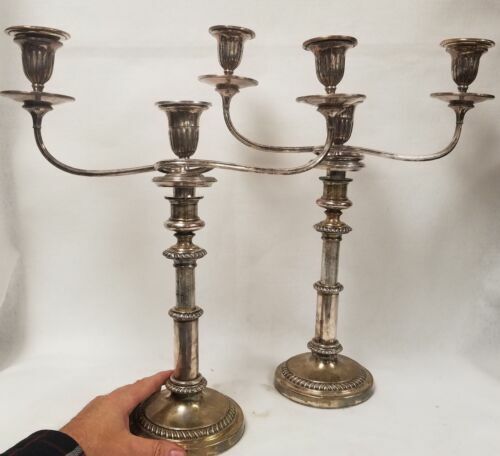 $565.0 2 Mexican Sterling 3 Arm Candelabra Villa A.G. 578 Grams Elegant 9" x 5 1/2"
Buy: $2800.0 Exclusive Antique German 5-Light 800 Silver Candelabra. 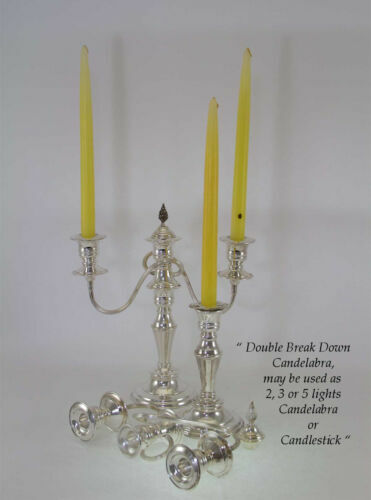 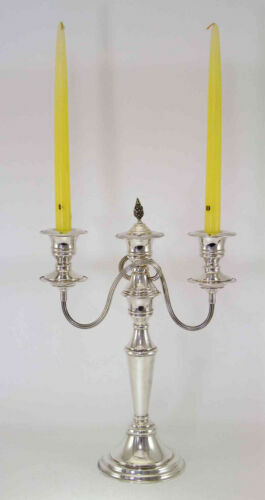 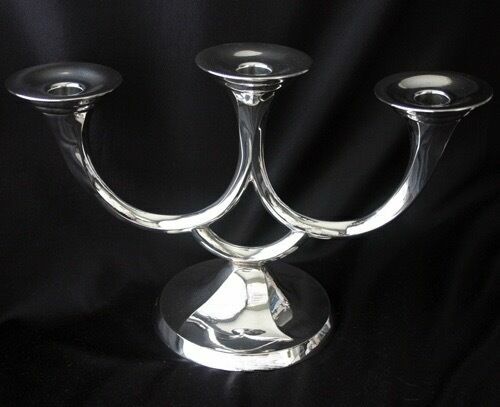 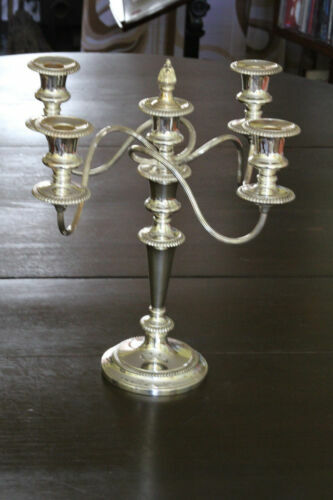 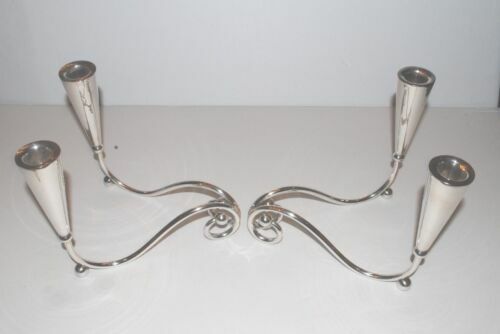 $147.5 Silver Candelabra, Plain 3 Light 8 in. 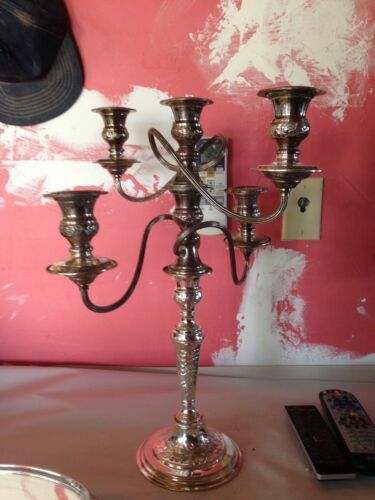 Buy: $325.0 ANTIQUE FRENCH SILVERPLATED BRONZE CANDELABRA,EARLY 20th CENTURY.